Electronics Hobby or DIY Electronics and Electronic Engineering Design go hand in hand. Many inventions, discoveries and improvements in this technology has been done by Non-Engineers who acquired skills and built firms that created many positions for engineers to work in. Hobby Electronics is the first step in EE Education. Ham Radio Enthusiasts improved the Communication Awareness and Science of RF Circuits. FC's Electronic Circuits - Forrest Cook, Ham Radio, Solar Power, FM Radio Circuits. eServiceInfo.com - Service manuals, IC Applications, Chip Datasheets, Firmware. ePanorama - Tomi Engdahl, Electronics design and EE Technology Resource. Discover Circuits - David's directory of over 7000 circuits and links, reference. KeelyNet - Free Energy, Gravity Control, Electronic Health & Alternative Science. RepairFAQ-Sam - Repair, Service and Maintenance of Electronic Products, Lasers. PackRat WorkShop - Lee Bell's Alternate Energy Ideas, Mechanicals, Robot Design. Electronics 2000 - Electronics assistant, technical data, software, guides, links. Electro Tech - Electronics chat, projects, robotics chat, microcontrollers. Electronics Lab - Free Electronic Projects, PCB and Hobby Circuits, Electronic Kits. Bill Bowden - telephone, LED, power, analog, RF circuits, links. Professor Mark Cseles Projects & Hobbies - Digital Oscilloscope, Accelerometer, Power Backup Inverter. 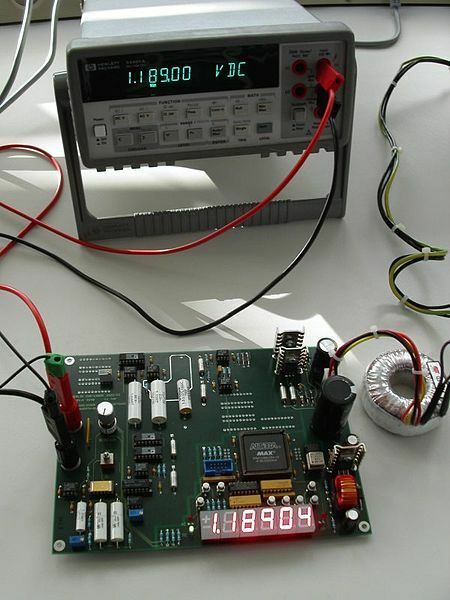 Benchtop Multimeter being used to Test and Troubleshoot an Embedded System Prototype. Australian Amateur Radio - Morse/10/Q Tables, UHF CB Repeaters, CB/Marine/VHF Info, spectrum usage. DXZone - Ham Radio Resource Guide, DX, CB, antenna, VHF, UHF, Transceivers. Rason Projects Page - Power supplies, opamps, jfet, audio, RF.